Coffee table books from Colorworld are a great way to offer your images in a more contemporary photo-book style. They make excellent alternatives to digital albums and also as accompaniments to a photographic package for the budget savvy client. 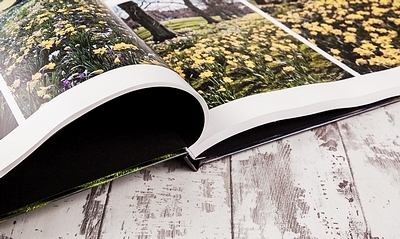 The coffee table book also allows you to create a totally personalised cover as it comes with a photographically printed hardback or linen cover that wraps around the front, spine and back of the book.